Kex Gill Tarn is a rather mysterious body of water on Kex Gill Moor, to the north of the A59 as it climbs over Blubberhouses Moor. The mystery being that there is no tarn where there is supposed to one on the map. Did it dry up or is it a mapping error? I’m inclined to think the latter because, a third of a mile to the north, there is a tarn. 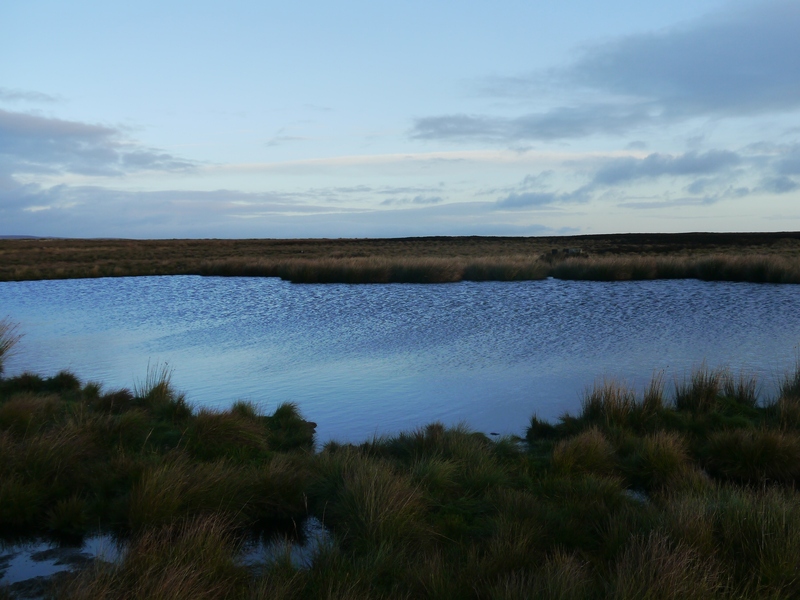 As this very real tarn is near the summit of Kex Gill Moor then surely this should be Kex Gill Tarn. I’ve not been able to prove this theory because the only pictures of Kex Gill Tarn that I’ve found online are from my own walk report when I visited the tarn back in November 2014. On that occasion I’d trekked across Kex Gill Moor on a fairly non-existent public footpath from North Moor Road specifically to visit the tarn. Regardless of whether this is really Kex Gill Tarn or not it lies within the Nidderdale AONB, less than a mile outside the boundary of the Yorkshire Dales National Park. 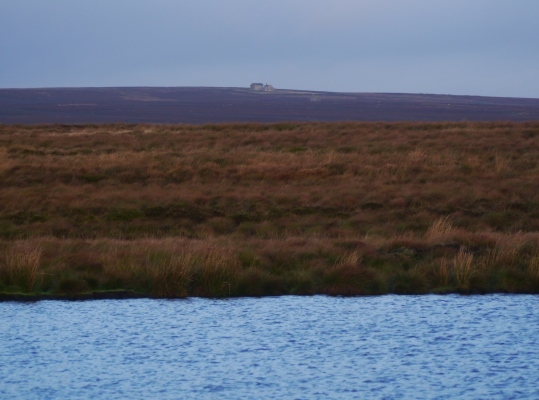 Perhaps not surprisingly, as this is a grouse moor, there are grouse butts next to the tarn. There is also a good view north to the prominent Rocking Hall on Rocking Moor.